Design and Engineer structures to 5 stories in height using Light Gauge Steel Components. Provide a Structural Stamp on all Light Gauge Steel Component designs. One source for the design, engineering, fabrication, and installation of the Light Gauge Steel Components. Union fabrication and installation of our Design/Build System. Budget pricing with value engineering solutions. Experienced staff of Design/Build Engineers. Ultra-Span trusses are pre-engineered and pre-fabricated utilizing the Aegis 7.0™ steel truss engineering software operated by Superior Truss & Panel’s engineering staff who quickly and accurately design and bid your roof framing structure. Our engineers convert the architectural plans into a completely designed and engineered roof structure including sealed engineered shop drawings for all 50 states. Our bid typically includes the light gauge steel trusses and their complete installation. Panelizing of structural load bearing ‘C’ stud exterior and interior walls consists of prefabricated door and window headers, king studs and shear wall bracing into sections with the track and studs that makeup the panel. These panelized wall systems are most beneficial where repetition in types or size of panels exist. Our engineers convert the architectural plans into a panel layout plan including the creation of individual panel and entire floor layout. Each individual panel will specify all appropriated dimensions, size & gauge of materials, location of each stud, identification of all headers, bucks, braces, connectors and bridging. 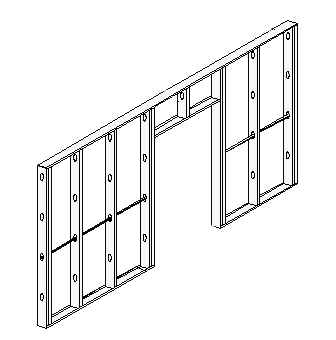 Stamped engineered panel drawings include determination of structural integrity of the wall. 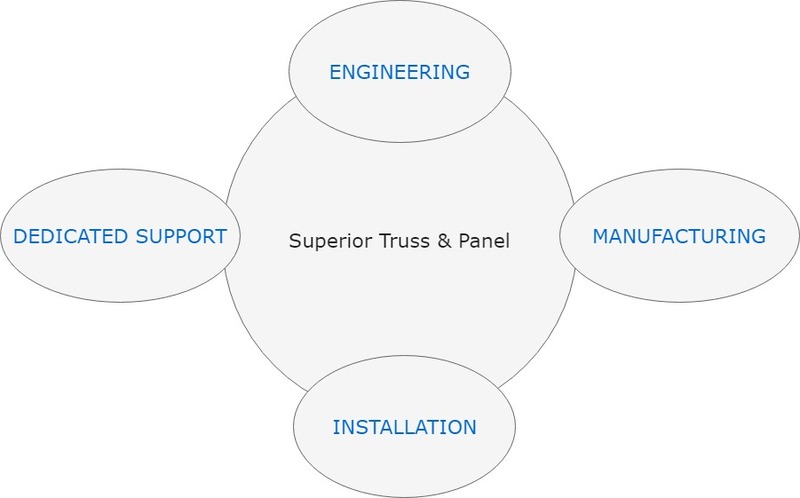 Superior Truss & Panel offers complete installation services of all our products. With the ability to design, engineer and prefabricate our products, we are able to do so in such a manner that simplifies their installation providing savings to your project in terms of monetary as well as time frame of construction. Our installation crews are very experienced in the proper installation techniques, bracing requirements, attachment details, shear wall anchorage, etc. of all products. They have available all necessary cranes, lifts and equipment to complete their installations. All OSHA and safety programs are strictly adhered to on all projects.